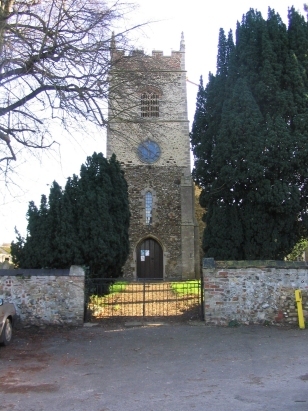 Wereham sits south-east of King's Lynn on a ridge of higher ground overlooking the fen-edge. A substantial village there is a marked village centre with attractive properties grouped around a duck-pond. The village is now, fortunately, bypassed by the busy A134 trunk route from King's Lynn to Thetford but in past times would have seen a thriving through traffic. 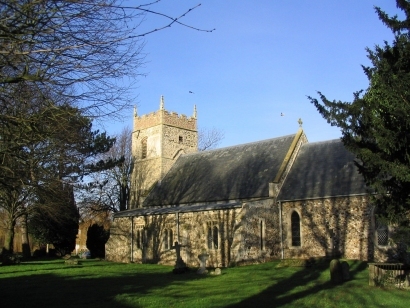 St Margaret's church lies at the heart of the village square, a rather pleasant Early English church with some Norman features still present despite a thorough restoration in 1866. These entries were transcribed from microfilm MFRO541 in the Norfolk Record Office series. Throughout the filming was clear, however the same could not be said for the standard of incumbant's legibility. In particular Mr J P Royle's work left a lot to be interpreted. Whilst every effort has been nade to avoid transcription errors in this case they cannot be ruled out.